Martha Swope wanted to be a dancer. 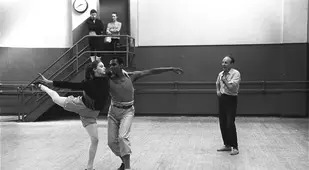 So in 1957, she packed her bags and left her Texas hometown for New York City, where she would attend New York's famous School of American Ballet. 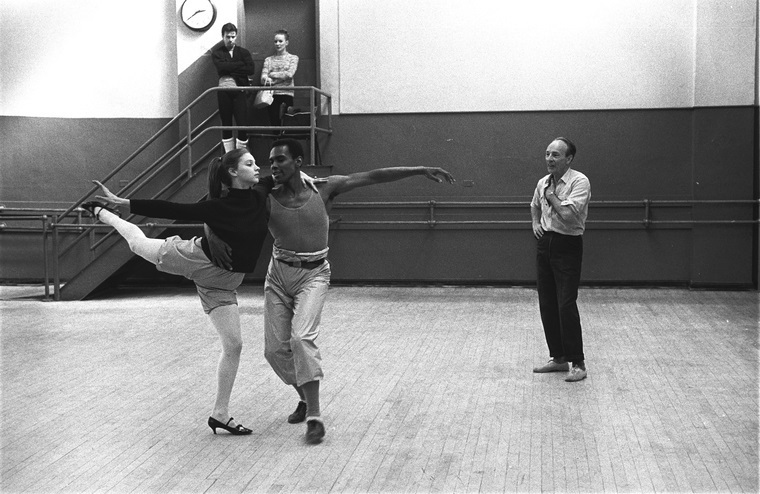 One of Swope's classmates, Jerome Robbins, asked her to photograph a new show he was working on called West Side Story. 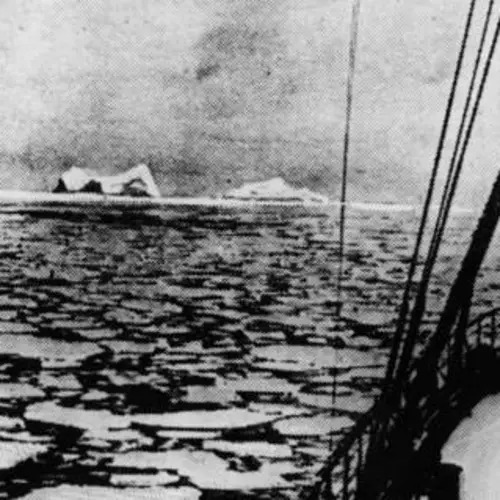 Swope gladly took on the project, which became an instant classic and saw her photos appear in LIFE magazine. 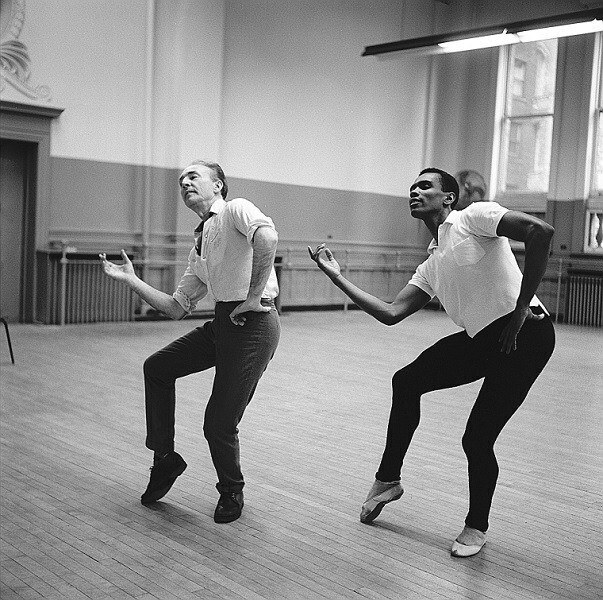 Swope's work then gained the attention of Lincoln Kirstein, co-founder of the New York City Ballet. 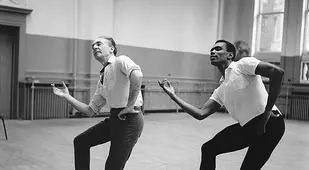 He asked her to photograph rehearsals for a new ballet called Agon, choreographed by the legendary George Balanchine with original music by noted composer Igor Stravinksy -- and Swope's career was off and running. 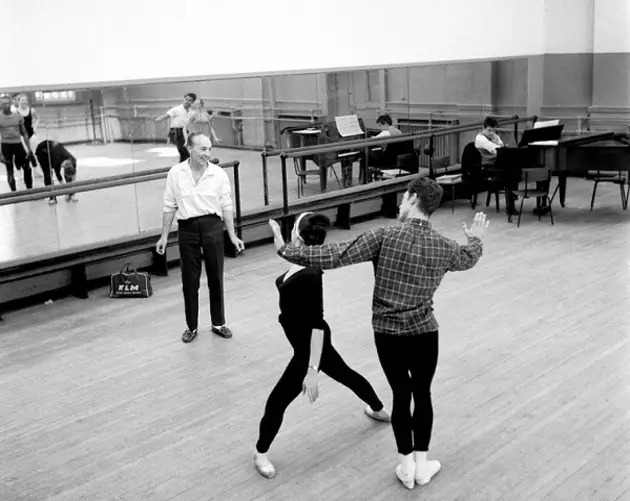 For almost four more decades thereafter, from 1957 to 1994, Swope photographed New York City Ballet rehearsals featuring some of the most iconic dancers of the day -- including Suzanne Farrell and Mikhail Baryshnikov -- under the direction of Balanchine. Furthermore, Swope captured behind-the-scenes images of the original productions of classic Broadway shows like Cats, Annie, and A Chorus Line. 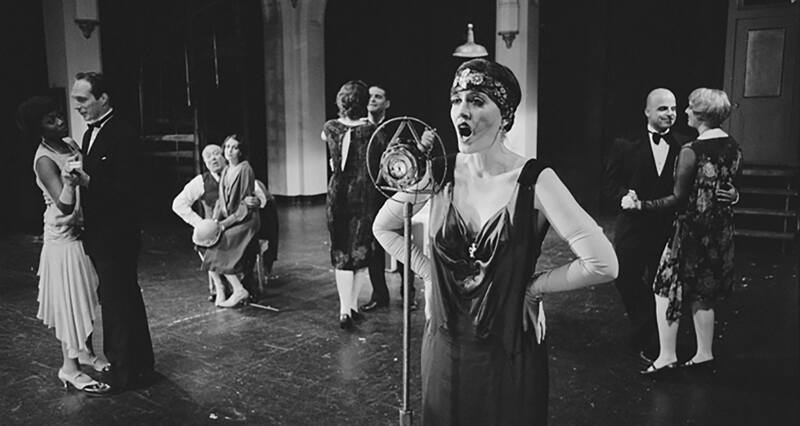 Swope's dance background played a central part in the inimitable way she photographed these performances and rehearsals. She understood the timing and the movement of her subjects, and used that knowledge to capture the precise moments in a routine that made for the best still images. That level of expertise put her in high demand: She worked for every major dance company from the American Ballet Theater to the Dance Theatre of Harlem -- all as a self-taught photographer. Above, you'll find 28 of Martha Swope's most beautiful photos of New York City dancers. Next, check out 23 stunning Ziegfeld Follies photos of the Jazz Age's sexiest Broadway revue. Then, watch Mickael Jou turn dance and photography into one breathtaking art form. Finally, check out the glamorous and gruesome history of the masquerade ball.